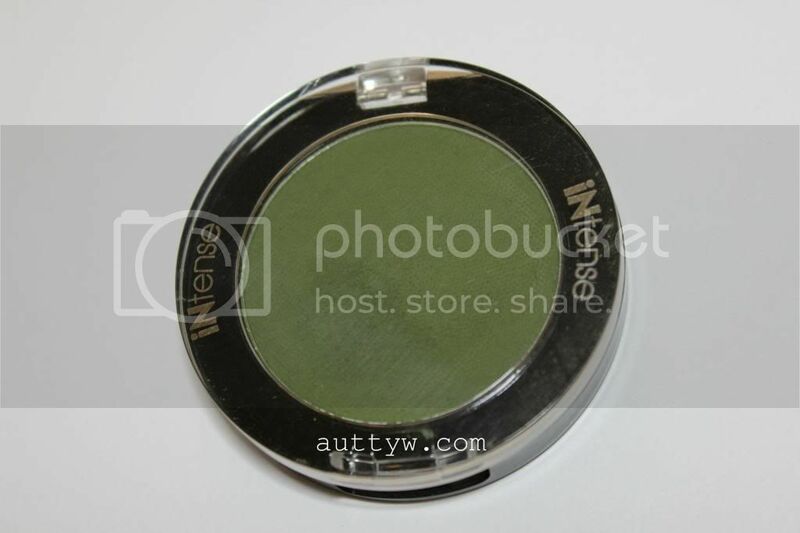 To continue on with the green trend, I thought it would be fun to review a green eye shadow! This review should have been up months ago, but long story short. I'm just getting to it. I got this Mehron shadow in the goodie bag from the Blogger Preview of The Makeup Show. (can I say the any more?!) After first, I was disappointed with this shadow and then I tried it again and was really surprised! Mountain Moss is a cool toned matte mossy green. Please excuse the fact that there is already brush marks in it. I photographed it back in September or October, but with my new camera I decided to take new ones. I also decided to swatch the shadow 3 ways, alone, over primer and foiled. Now, we all know how I roll so each swatch is ONE swipe straight down the length of the pan. 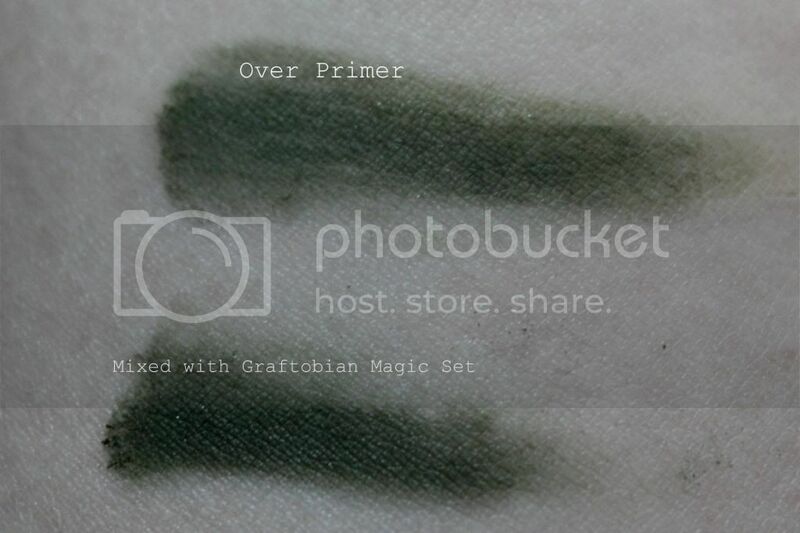 With no primer, you can tell that the pigmentation is a bit poor, it also applied a bit unevenly. I used Urban Decay Primer Potion because I couldn't find my Milani primer at the time of swatching. As you can tell, the pigmentation is a lot better! To foil the shadow (bottom) I used Graftobians Magic Set Lining Liquid. LOOK at that pigmentation. With this shadow you can keep it light by blending it out or build it up dark in the crease. 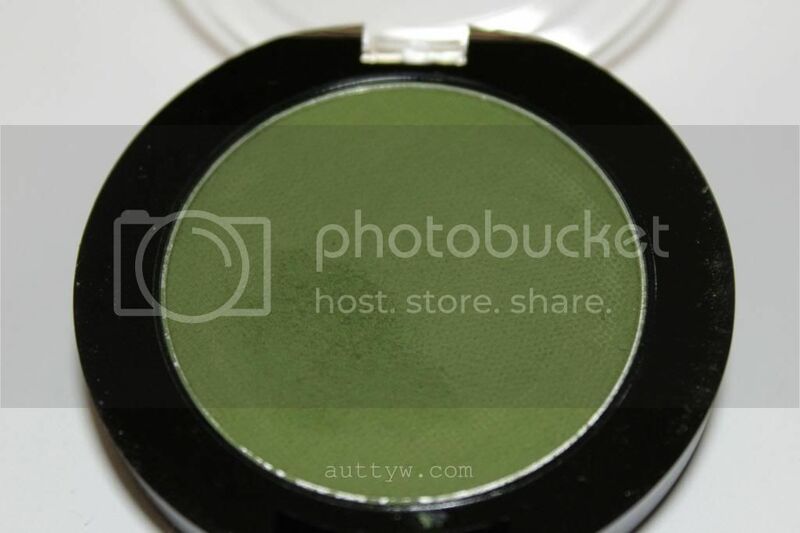 This does make a good shadow for a green smokey eye! 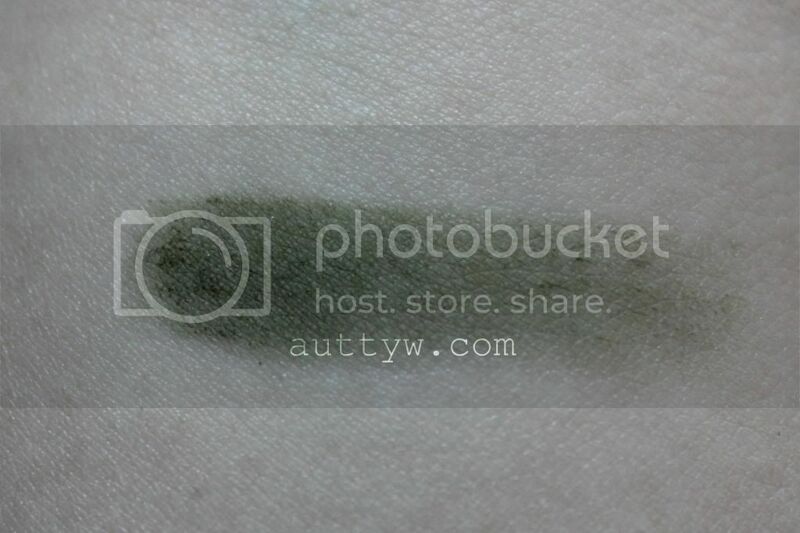 You can purchase this shadow on Mehron.com it retails for $9.95 for 3g of product. It looks great mixed with the liquid! Great pigmentation and solid color that way. I never thought about using it as a liner! I'll have to try that on Monday! It's really pretty when it's mixed with the liquid! You could definitely do a whole eye look with just the one shadow.